Sometimes you just need a good bowl of soup. 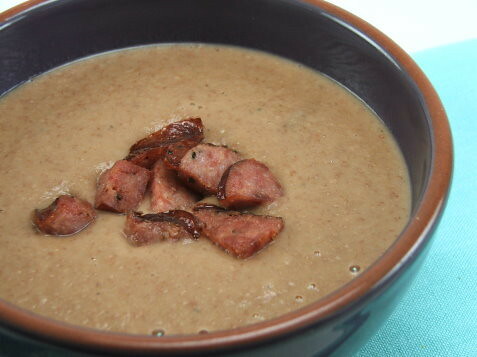 The funny thing about soup is that despite how easy most soups are to make at home we, as a society, so often turn to the cans of soup that line grocery store shelves. Yes, they are easy to prepare, but for all their ease of use they lack any real flavor. 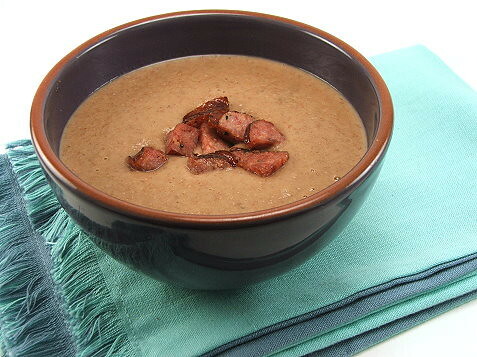 So, a few weeks ago, I found myself contemplating easy, filling soups that would put some roses back in my cheeks (to find out why see here) when I found this recipe by Emeril Lagasse on Food Networks website. I want to say that I miss Emeril on Food Network and I think the network lost something when they declined to renew his contract, but that is neither here nor there. The recipe sounded tremendously comforting, and with a few additions of my own it was exactly what I wanted. Hearty, tasty, and overall easy! 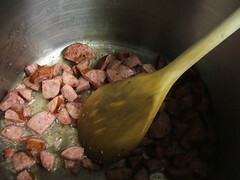 In a heavy bottom pot over medium heat cook the sausage until the fat is rendered out, about five minutes. Remove the sausage from the pan and reserve. 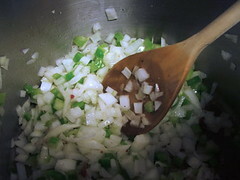 To the rendered fat add the vegetable oil and once it shimmers add the onions, celery and bell peppers. Cook until they begin to soften, about five minutes. 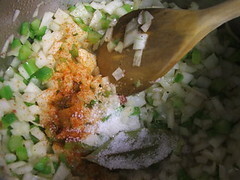 Add the bay leaf, cayenne pepper, cumin, coriander, and garlic. Cook until fragrant, about one minute. 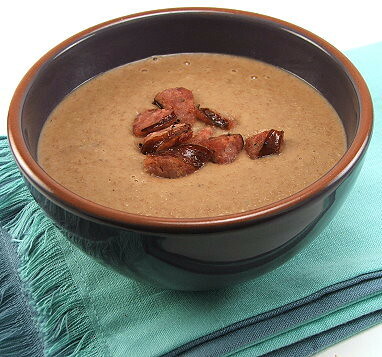 Add the drained beans and the chicken stock and allow to come to a boil, then reduce to a simmer and cook for thirty minutes uncovered. 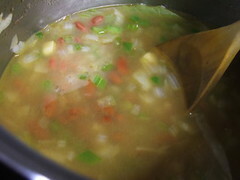 One the soup has simmered season with salt and add hot sauce then, working in batches, blend the soup until smooth. Garnish with the cooked sausage.